I'm very excited to have Kimberly Belle (author of The Ones We Trust) here today. I pondered the topic for todays post and this is what I presented and the nice respond I got back. "Mystery - Hot or Cold - how do you keep it at the right level?" How to keep the story line unique with enough hints without giving away the ending too soon. 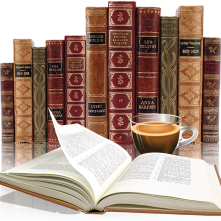 Do you plot the whole book out before you begin and what happens when the story takes a different direction then originally planned? Hi, Margaret, and thank you so much for having me! 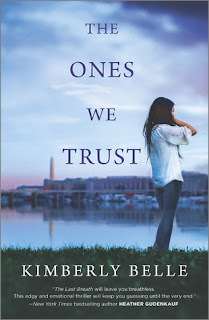 My latest novel, The Ones We Trust, is a story about Abigail Wolff, a former DC journalist who in an attempt to rehabilitate her career, finds herself at the heart of a US army cover-up involving the death of a soldier in Afghanistan. The more evidence she stumbles upon in the case, the fewer people it seems she can trust, including her own father, a retired army general. And she certainly never expected to fall in love with the slain soldier's brother, Gabe, a bitter man struggling to hold his family together. The investigation eventually leads her to an impossible choice, one of unrelenting sacrifice to protect those she loves. When I sat down to write this one, I had little in my head beyond what happened to the slain soldier (a man we never meet on the page, so the backstory) and a love-hate relationship between my two main characters, Abigail and Gabe. Those three things were my little story seeds. But three seeds do not a story make. I needed a lot more before I could begin writing. I started by giving Abigail a father with something to hide, and Abigail a fierce belief in the public’s right to know the truth. This is a major conflict in this story, as the deeper Abigail digs, the less she believes her father was acting with the best intentions. I also created a painful event in her past, and threw in a couple of characters that would act as reminders of it in her present; she was constantly being confronted with her past mistakes. And I put her and Gabe together in a way that, considering their emotional baggage, meant sparks would fly—and not necessarily in a good way. These three things stirred up plenty of conflict as my characters worked their way through the novel. For me, the biggest challenge of writing any story is taking the armature of the suspense plot—in this case, Abigail and Gabe’s search for the truth—and developing characters that feel real, and not simply reacting to the plot points I create for them. Characters have to learn and grow for a story to really resonate, and though I have their stories in my head when I sit down to write, they always end up surprising me along the way. Yes, The Ones We Trust is a suspense story, but with some romance and family drama thrown in for good measure. Ultimately, it’s a tale about how love can provide strength and hope for the future. That’s what I hope sticks with readers most, that even after great loss, there’s a way to carry on and cope. Thanks for featuring Kimberly for the tour!